One of the difficulties under which students of Theosophy labor is the practical and therefore one-sided or distorted view they take of the Wisdom-Religion. 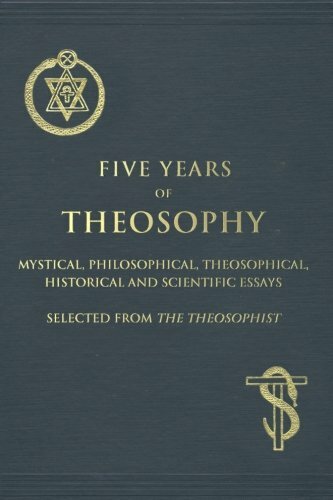 For some, Theosophy takes the place of an outworn creed; for others it provides a better field for philosophic speculation; for a third class it is the interesting study of a new science which instructs where modern knowledge breaks down; for still others, through the many and varied associations which exist in its name and for its sake, avenues of some altruistic expression. Only a few seems to recognize the synthetic character of Theosophy, viz., that it is the religion of the Spirit, free and immortal; that it is the philosophy of the Heart, to be practised universally by us all the time; that it is the Science of Life which instructs us in self-devised methods of never-dying energies moving in the direction of Universal Self-Consciousness; that it is the teacher of the Higher Altruism which calls for self-correction and growth from within, on the part of every being, resulting in the growth of all. It is curious that the science of Self is made applicable by many to every other thing but the Self, and the operation of its laws is seen in all beings but our own being. Everyone lives by some power within himself, whose influence is so eclipsed and even obliterated that it remains non-recognizable. This takes place because in the sphere of deeds, other people’s will guides our organs of action; similarly on the plane of feelings our heart is energized by other people’s emotion; our thinking too is done by proxy while our heads often are replete only with the thoughts of other men. The student should recognize to the full two fundamental principles: that theosophy is a great synthesis of religion, philosophy, and science; and that it, as a synthesis, primarily concerns itself, touches and affects the causal forces of the Self producing as effects myriad forms; then his task will become less difficult. Such a recognition will inevitably lead him to study every Theosophic truth from three points of view—spirit, mind, and matter; also to apply every truth in the three distinct spheres of heart, head, and hands. Such study and practice will convince him very soon that the synthesis is rooted in and proceeds from within his spiritual Being, but affects through his actions the deeds of others; through his likes and dislikes, the pleasures and pains of others; through his thoughts, the minds of others; and that in turn he is so affected by others. If Theosophy in study reveals itself as a synthesis of religion, philosophy, and science in applying its tenets and doctrines, we soon begin to sense that an additional or fourth factor exists—a kind of over-soul, which is the Higher Altruism. Altruism is the Absolute whose three aspects are the religion to be lived, in terms of the philosophy to be learnt, and of the science to be practised. To practice, to learn, to live, for and as the ALL—is to manifest the Living Power of Theosophy. This living power of Theosophy lies latent, buried deep down, in the heart of every man. Therefore, everyone who is not a Theosophist is a Theosophist in embryo. It ought to be clear to an intelligent student that his task, however difficult, is not complex. Theosophy advocates the simple life by insistently pointing out in a hundred ways that the power by which we live is of a simple character, both in its origin and in its operations. Men have strayed away from this simplicity and have assumed a million complexes by looking for knowledge outside of the Self, for divinity in other than the Self. Thus started on the inclined plane of retrogression, we see division where a solidarity exists—division between science and religion, between inanimate and animate, between secular and sacred. In place of ”the immanence of God and solidarity of man” is proclaimed—God in heaven and men the children of dust and worms on earth. This blunder and its correction that Theosophy puts forward has to be understood and applied by each student to himself in his own life. Unless this is done Theosophy will remain a religion, a philosophy, a science, a mode of charity, a method of philanthropy in contradistinction to other religions, philosophies, sciences, and methods of altruistic efforts. H.P. Blavatsky has recorded her complaint in more than one place that solidarity in the ranks of Theosophists did not exist in spite of the fact that they were able to preach religious truths, and to put before the scientific world wonderful information in an instructive way. The religion of Universal Spirit fails to inspire most of us when our feelings are hurt by a fellow Theosophist, or to give us courage to stand by him when he is unjustly attacked. Our philosophy of the One and Impartite Self evaporates into impracticality when we have to say that the moral leper, the intellectual prostitute, and the psychically drunk are our brothers. This will continue as long as the Synthesis of Theosophy is not applied by us to purify our lower nature and to create a higher perception of altruism. The Living Power of Theosophy must become the power by which we live. As we have a material instrument and an energizing mind, and as we are in being spiritual, we must live as spiritual beings our Religion of Joyous Immortality which ensouls and illumines the mind. Aided by the philosophy of Theosophy we must let that mind energize our house of flesh, so that the latter is no more a palace of pleasure, but a Temple of the Living God, the Ruler who rules from within.